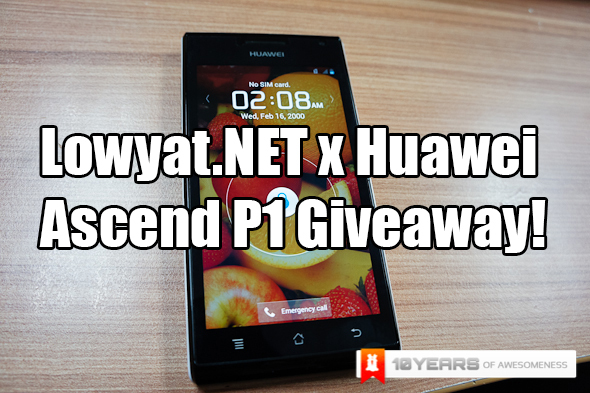 Last month we held a contest giving away 3 units of the Huawei Ascend P1 and were overwhelmed with entries! So after sifting through your entries, the guys over at Huawei have picked 3 lucky winners! Each of these lucky winners will walk away with one unit of the new flagship android device from Huawei, the Ascend P1! The winners will be contacted directly from Huawei with information how you can get your hands on your prize! so without further ado, here are the winners! Thank you for all who participated and don’t worry if you didn’t get selected this time around as we have loads of contests heading your way soon! Thank you for your continued support! Astro On-The-Go x Lowyat.NET Contest: Our First iPad Winner!